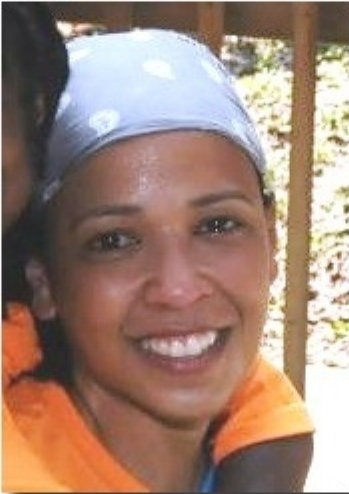 Karen has been involved with AAC since 2008 where she began as a volunteer, and now serves as the camp director. She has a long history of working with children and directing summer camp programs. She is passionate about working with children and hopes to continue being involved with AAC for years to come. Karen received her Doctorate of Physical Therapy from Shenandoah University and is currently working and residing in the DC, VA, MD metropolitan area. Chris was first introduced to the Adventure Amputee Camp in 2006 while working for the Nantahala Outdoor Center as a river guide. Chris spent his first 8 years with camp guiding the group on both the river and high ropes course. In 2014, with his love for camp, Chris joined the AAC as a camp counselor and then in 2016 became a Head Counselor for the summer camp. Chris joined the AAC Board of Directors in 2016. 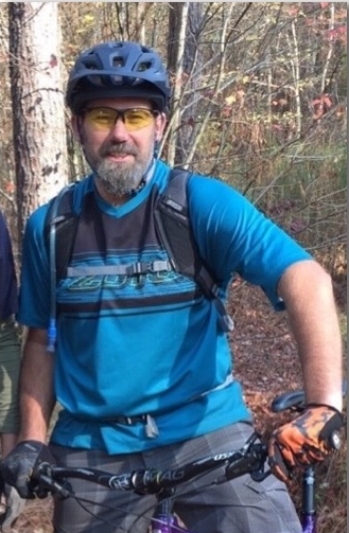 He and his family currently live in Bryson City, NC where he owns a bicycle shop and continues to guide mountain bike and river trips. Chris is excited to help the AAC continue to grow in the coming years. Katie has been associated with AAC since 2006, when she attended as a camper at the age of 17, less than a year after becoming an above-the-elbow amputee in a boating accident. Katie's positive experience at her first camp proved to be a defining moment in her recovery and contributed to her success as she adapted to life as an amputee. Katie became a volunteer counselor, and in 2014 joined the AAC Board. Katie graduated from Kennesaw State University with a Bachelor's degree in communication and currently works as a public relations (PR) professional. Katie is quite excited to contribute to the continued success of AAC. Tess is a congenital transhumeral amputee who started out as a camper at AAC when she was 10 years old. She had the opportunity to become a counselor and camp committee member in 2011, and she joined the AAC Board of Directors in 2016. Tess received a Bachelor of Science degree from Auburn University in Rehabilitation Services and Disability Studies in 2012 and in March 2015, she completed her Master’s in Prosthetics and Orthotics at Northwestern University. In August 2015/2017, she had the opportunity to volunteer at Crimal, a clinic in Queretaro, Mexico, completing prosthetic mission work. Tess is now a Certified Prosthetist - she is currently living in Birmingham, AL and working at Fourroux Prosthetics. AAC changed Tess’ life as a camper and it continues to do so as a volunteer, she is eager to give back to an organization that has made such an impact on her life. Joe Thompson first volunteered for the AAC water ski lake day at Fontana in 2001. It was his wife's birthday, and the kids just melted their hearts. He has volunteered for lake day every year since, and started cooking barbecue 6 or 7 years ago for a picnic after everyone comes off the lake. Joe worked for 24 years for Kroger's and retired in 2002 when he was diagnosed with psoriatic arthritis. He has also volunteered since 2001 with Eskimo Escapades, which is one of the sponsors of AAC. Joe was thrilled to join the AAC board in 2014. Major Yancy Baer, United States Army, Retired, joined the Army in 1990, attended basic training at Fort Benning, GA and spent 9.5 years as an enlisted Infantryman. During those 9.5 years, he attended Airborne School, Air Assault School, Pathfinder School and earned his Expert Infantryman’s Badge while serving in units like the 2nd Infantry Division’s 503rd Air Assault Battalion and the 82nd Airborne Division’s 504th Parachute Infantry Regiment. Yancy applied for the Green to Gold program and was promoted to 2nd Lieutenant in May 2001. As a Lieutenant, he attended the Mortuary Affairs’ Course and the Parachute Rigger Course. He served as a platoon leader, shop control officer, and company executive officer while serving his first of many tours overseas. From 2005 to 2013, following the Captain’s Career Course, Major Baer served in the 10th Special Forces Group (Airborne). During this time, he was a company commander, battalion logistics officer, battalion operations officer, group support operations officer, and a battalion executive officer for two separate battalions. In November 2009, while on his fourth deployment, Yancy was medically evacuated out of Iraq for a non-battle related injury to his left leg. During his third reconstructive surgery, an osteosarcoma tumor was found, which led to 8 months of chemotherapy and ultimately, the amputation of his left leg below the knee. During his 10 months of extensive rehabilitation at Brooke Army Medical Center’s Center for the Intrepid (CFI) Yancy met Kelly McGaughey, a dedicated member of the AAC organization. Kelly talked to Yancy about AAC, he said he’d like to help out, and he’s been hooked ever since. After those 10 months of rehabilitation, he returned to full duty, including parachuting, with the 10th Special Forces Group (Airborne) doing another year overseas as a battalion executive officer. In August 2013 he was reassigned to Fort Sam Houston in San Antonio, Texas to complete his medical evaluation board and worked as a firearms instructor for the Department of the Army at the CFI. Yancy retired from the Army in January 2015 but continued to work at the CFI for another 1.5 years before resigning in order to volunteer for non-profit organizations. Major Baer’s awards and decorations include four Bronze Star Medals, two Meritorious Service Medals, eight Army Commendation Medals and seven Army Achievement Medals. He has earned the Parachutist Badge, Pathfinder Badge, Air Assault Badge, Parachute Rigger Badge, Expert Infantryman Badge and Combat Action Badge. His foreign decorations include the German Armed Forces Badge for Military Proficiency, German Parachutist Badge, Polish Parachutist Badge, Netherlands Parachutist Badge and the Australian Parachutist Badge. David Shreve is the Executive Director of Wintergreen Adaptive Sports, a Nelson County-based non-profit dedicated to providing outdoor sports and recreational opportunities for persons with disabilities. Previously, he served as an economic policy consultant and professor of economic history at the University of Virginia, where he held a joint appointment at the Miller Center of Public Affairs and the Department of History. He also served as a consultant to the Center for Survey Research at UVA’s Weldon Cooper Center for Public Service. A specialist in national, state, and local economic policy and 20th century U.S. political history - David also served as post-doctoral fellow at the National Governors Association. As well as a budget analyst for the Louisiana legislature, covering the state Medicaid program, its indigent care hospital system, and all of the Bayou State’s health care departments and agencies. He earned a PhD in Economic History at Louisiana State University in 1995, where he was the recipient of the University’s Distinguished Dissertation Award. In addition to his AAC board membership, he is a board member and the current president of Advocates for a Sustainable Albemarle Population, a member of the WVPT (Public TV) Community Advisory Board and the United for a Fair Economy Tax Fairness Organizing Collaborative, and a board member of The Prism Coffeehouse (Charlottesville folk music venue and educational center). He is also a member of the Albemarle-Charlottesville Citizens Transportation Advisory Board and the Albemarle County (VA) Economic Development Authority.